The band was lunched as the first artist from the new label［Riostar Records］. Their first single “Hukanzen na Bokuno” was released on May 28th , followed by their first national promotional tour. On October 15th , they released an EP “Black Positive” . Also on October 19th , their hosted their first event “Get a life NO LIMIT vol.1”. They held their first solo show “JIGGY the BULLET” for their first anniversary on January 17th 2015. On May 27th the released their 2nd single “Fiction Allergy”. The promotional event on May 31st “ Get a life NO LIMIT vol.2” was sold out. Between July and September they held three-band event “Sanjushi” in Shibuya, Shinjuku and Ikebukuo. On November 15th they had a solo show “ BANG!! !PIRE NIGHT” at Higashi Koenji Nimandenatsu, for which they decided the contents at the fan meeting. On January 27th 2016, they released their third single “Sono Uso Honto”. 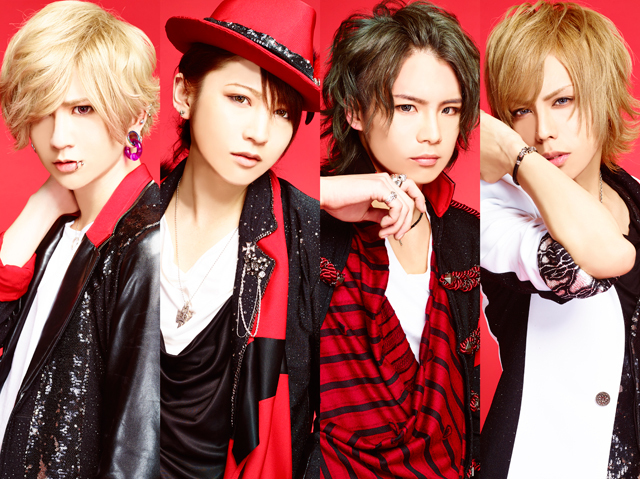 They held second snniversary solo show “Reload Bullets” on January 23rd at Ikebukuro EDGE. On April 30th , they performed at a major visual band festival at Shinkiba COAST, “Japanesque Rock Collectionz Cure【Cure World Visual Festival】”, followed by Tokyo, Nagoya, Osaka, Sendai tour titled “little HEARTS. Presents-MY little HEARTS. Tour Edition vol.7 -”. ON July 20th , they released their 2nd EP “Muzzle” and on the 30th they had another three-band show titled “Sanjushi-shakunetsu no Shijuku hen”, followed by a solo show “MUZZLELESS “ on the 28th of August.